Less than truckload (LTL) shipping cost doesn't have to be complicated or expensive. In order to drive savings to your LTL transportation spend, it's important to understand the factors that determine LTL pricing, including, minimum rates, freight classifications and accessorial fees. And, many carriers are increasing their LTL shipping rates because of fuel prices and tight capacity. 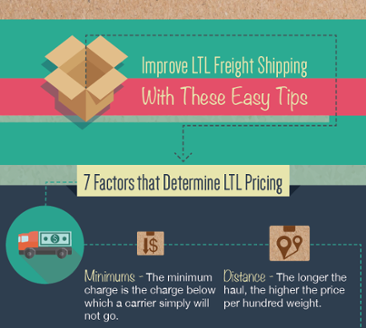 Learn how you can avoid additional fees and ship your LTL freight effectively. We provide high levels of personal service not only through interaction with customers but also in the way we handle your cargo—with care and precision. By focusing on specific transportation needs, The Junction LLC serves as a dedicated LTL partner constantly seeking to enhance efficiency and achieve optimum performance for you and your customers. Our network of local LTL service centers means there is always a nearby customer service representative to discuss your LTL shipping needs personally. Plus our centralized team of shipping specialists keep an end-to-end watch over your shipment. From proactive tracking and custom status reports to document retrieval and dynamic rerouting of in-transit shipments, The Junction LLC enhances your LTL freight shipping experience with dynamic tools. Examine logistics patterns over current and previous year, by month, location, state, vendor or customer. Schedule, track, expedite, reroute, even merge shipments — anything and everything you need for maximum control and visibility.